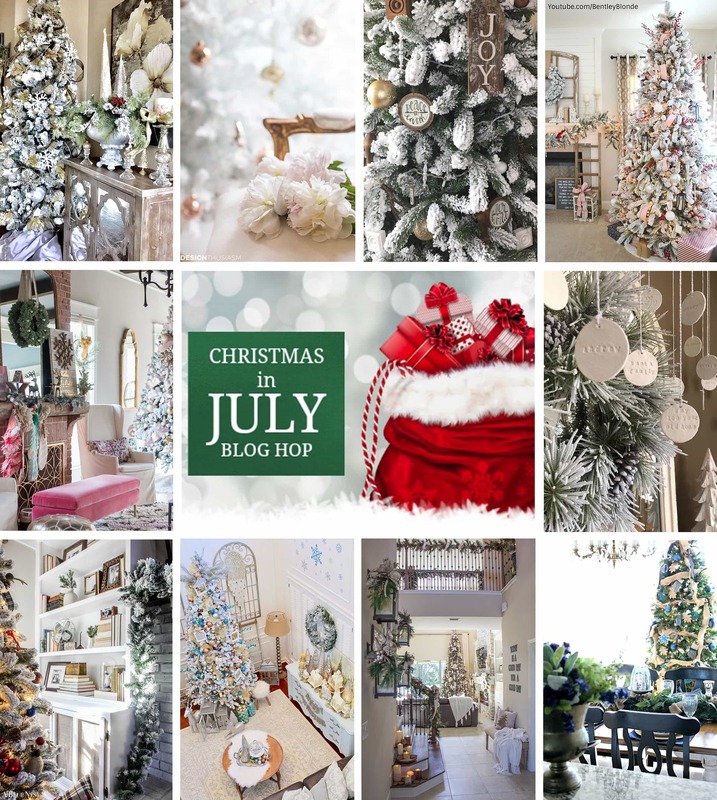 Join my favorite blogger friends and I on this ‘Christmas in July’ Blog Hop to share our favorite Christmas decor trends of 2018, sponsored by King of Christmas trees! 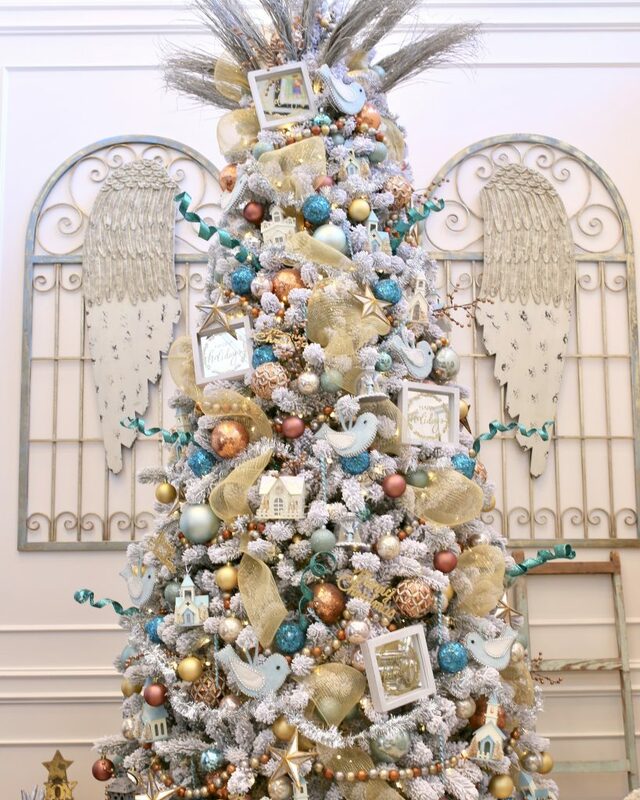 You will find so much inspiration and beauty in each of their gorgeously decorated King of Christmas trees. 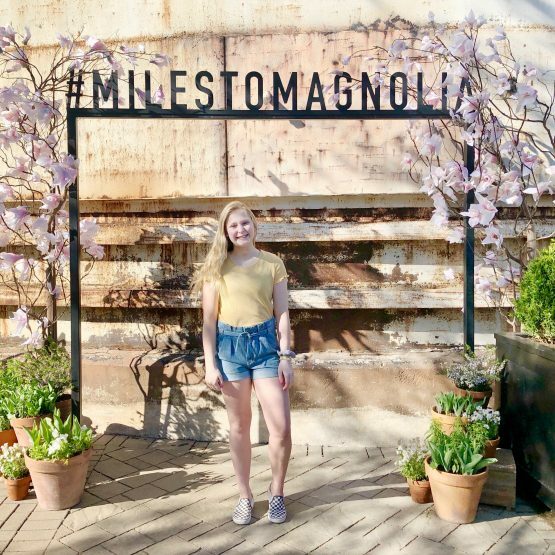 If you came from Wendy’s blog at BentleyBlonde.com, welcome y’all! 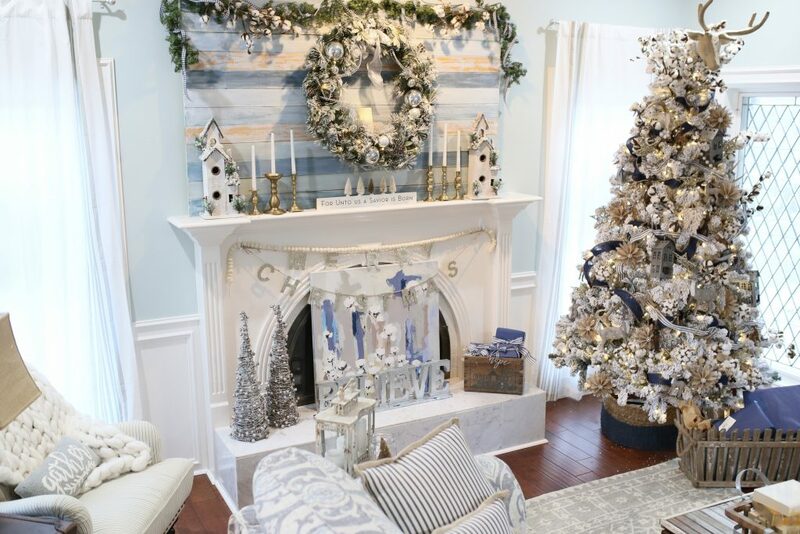 I just love her cozy, chic Christmas tree decorated in a fresh farmhouse vibe. Next on the tour is my friend Lory from Designthusiasm. 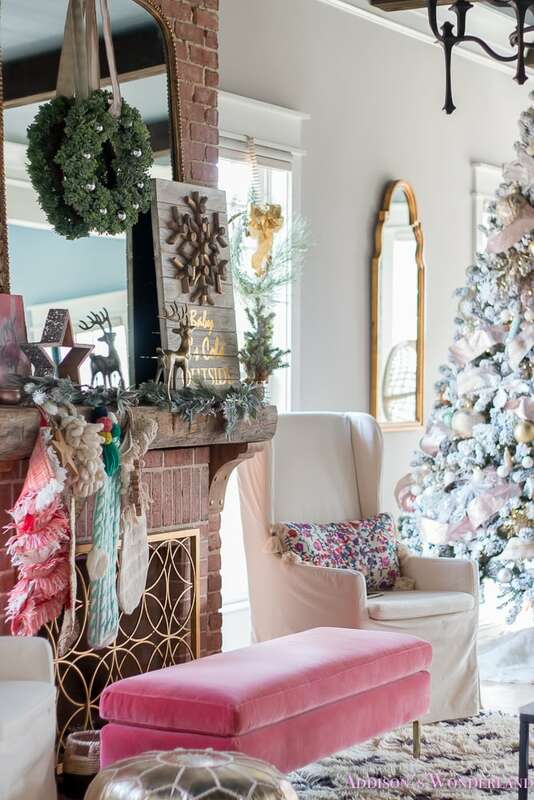 You will love how she uses metallics and blush pinks to create a modern, yet sophisticated French country style. 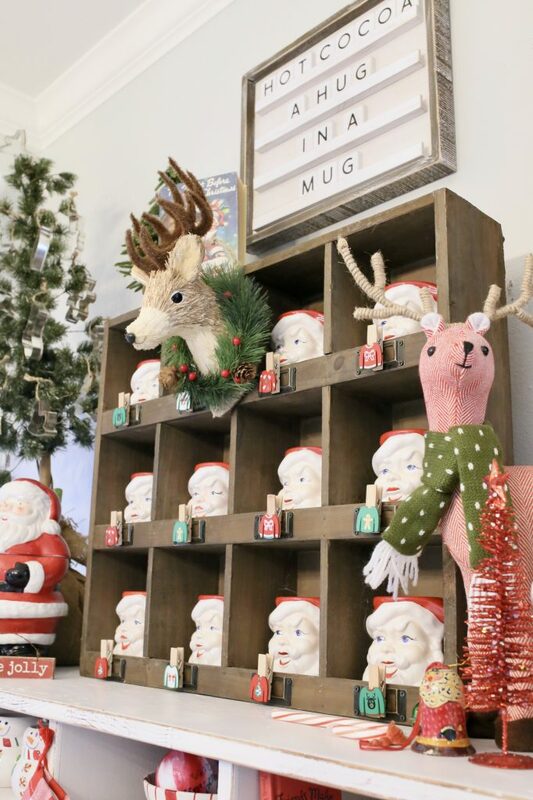 But first, let’s take a look at some decor trends that I feel are peaking at Christmas this year. 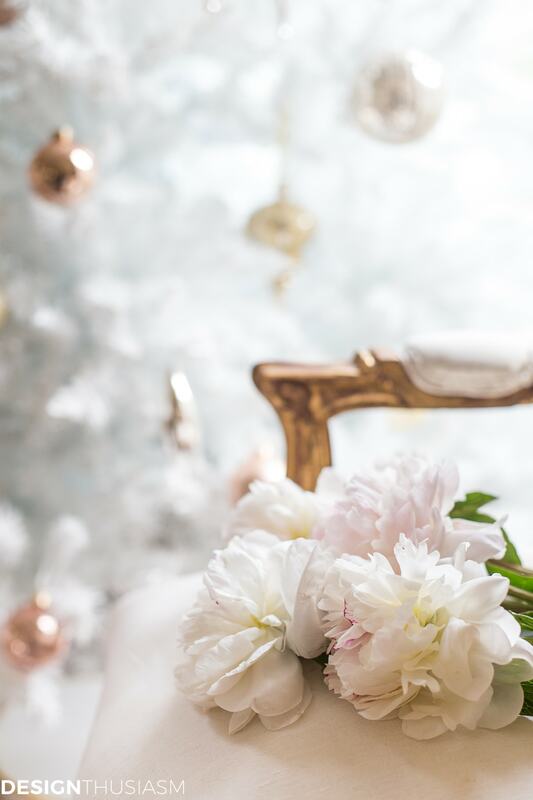 I have rounded up some of my favorite Christmas decor trends of 2018. 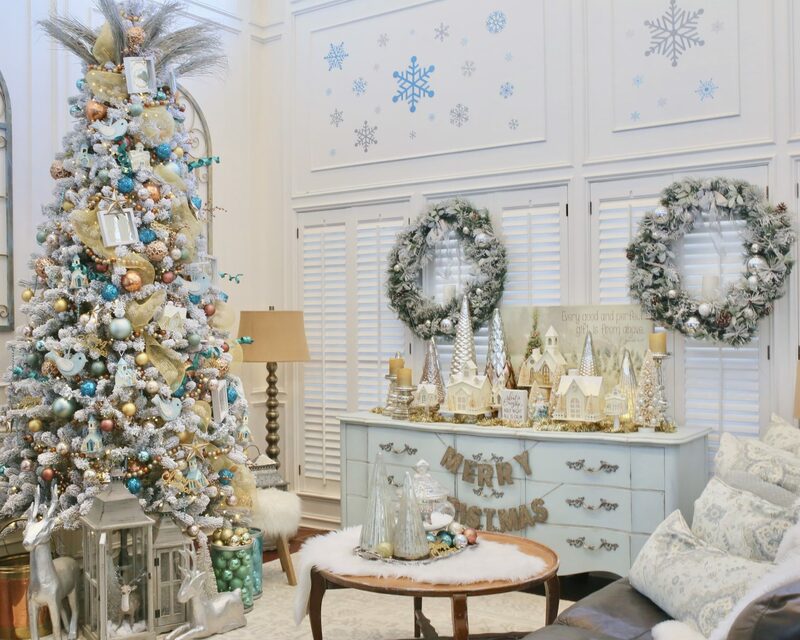 Traditional Christmas colors like red and green will never go out of style, but can sometimes take on a new life. 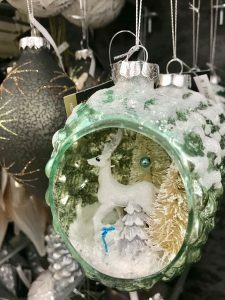 Whether this means the colors reflect a whimsical theme in brighter hues or go a tad darker to create a more rustic, woodsy style, red and green will always be on trend in some form. 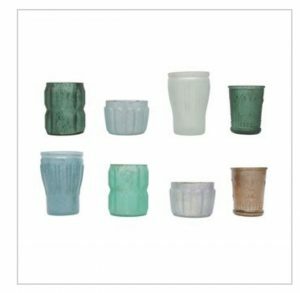 For that reason, I want to focus this blog post on decor, styles and color trends that are more non-traditional. 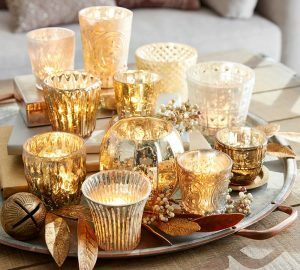 Gold has been a popular accent for many years, but this year the metallics are becoming a little softer, yet still warm. 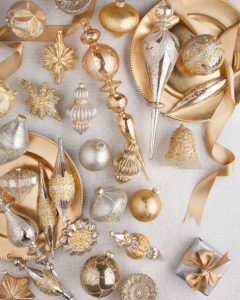 Think rose gold, copper, champagne colors, mercury glass, pewter… which all work well together! 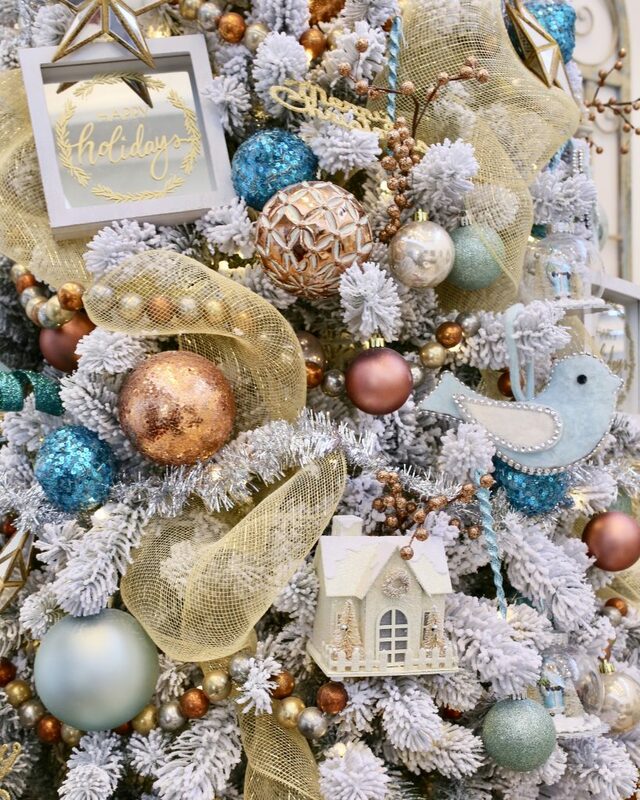 I think a metallic Christmas theme is very sophisticated and elegant. 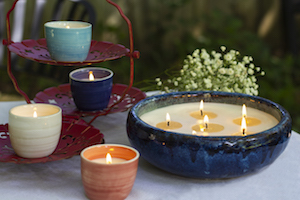 When mixed with the sparkle of twinkling lights or creamy white candles, it is magical! 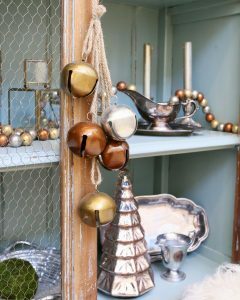 The best part about metallics is that you can mix a variety together or use or favorite finish as an accent. This may be one of my favorite trends, because I love this color combination. 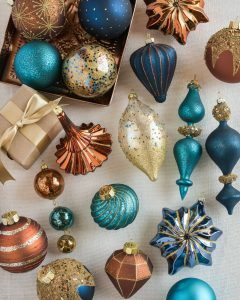 It became popular last fall with blue and green pumpkins mixed with vintage copper finds, and carried into the Christmas season. 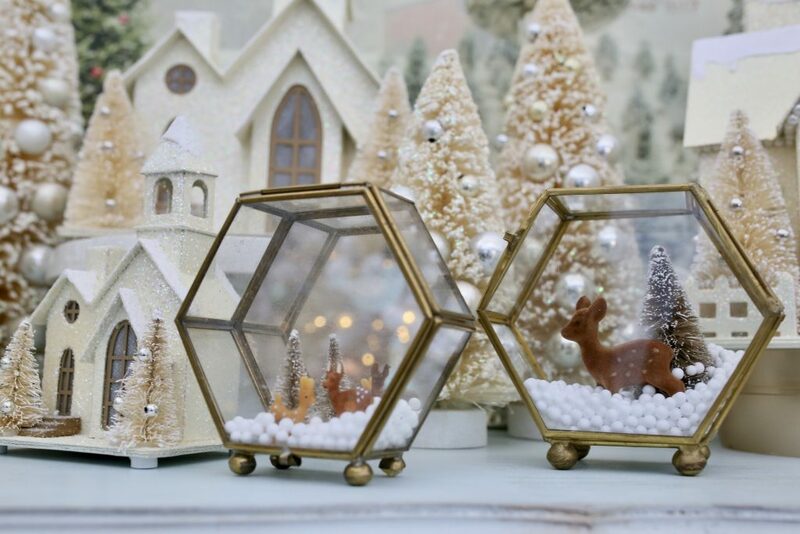 I have already seen this color combo pop up in the Christmas section in stores and online, and am excited to use it again this holiday season. I just love my King of Christmas pre-lit flocked tree. They are so beautiful to style and work well with any theme or color combination. Last season, I used a variety of teal and aqua blues with a mix of warm metallics like copper and gold. Christmas villages and putz houses are getting a modern look! 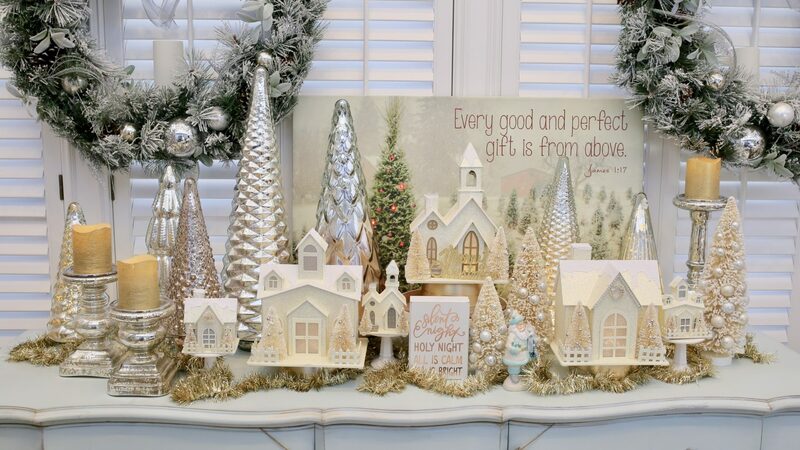 As trends stray from traditional colors into neutral or quirky themes, Christmas villages still remain a holiday favorite. 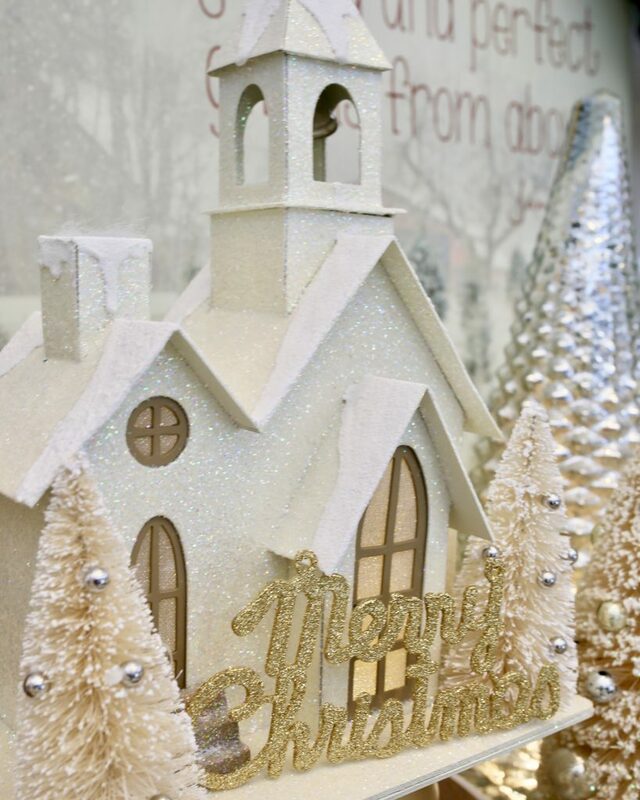 There is something nostalgic about Christmas villages and when lit up, create a beautiful ambience in your home during the holidays. 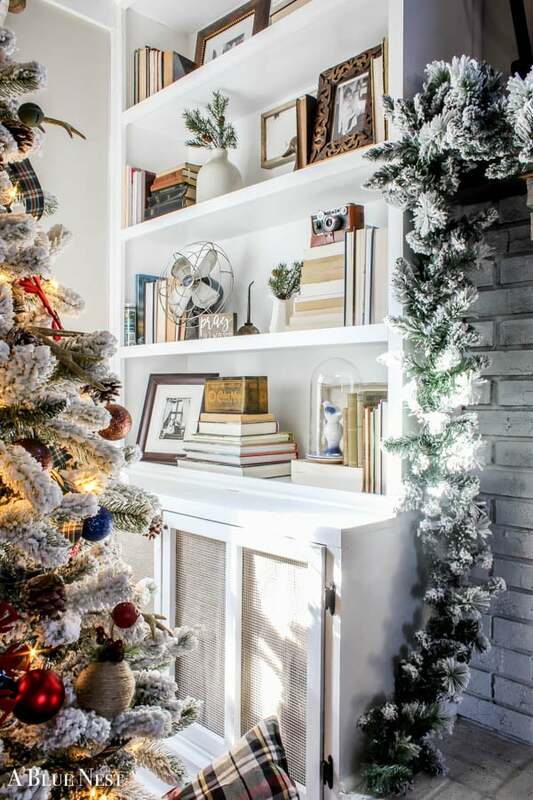 These holiday classics are still covered in glitter and filled with lights, but take on a new neutral look. 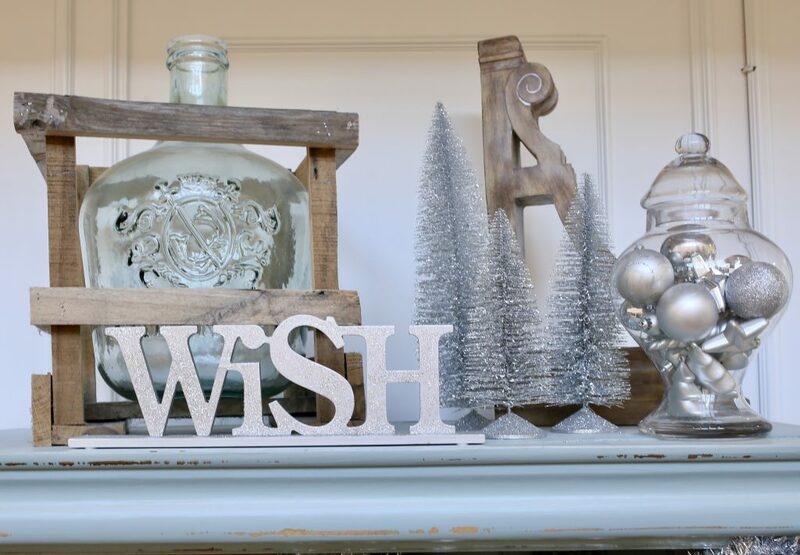 Thanks to Pinterest for giving those of us who love to create so much inspiration to DIY. Snow gloves are so fun and easy to make! 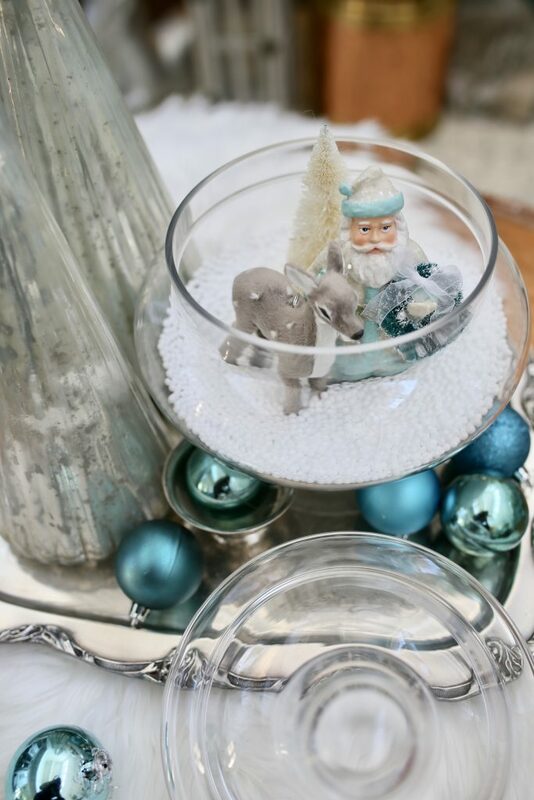 All you need is a container, faux snow, and a few holiday figurines. 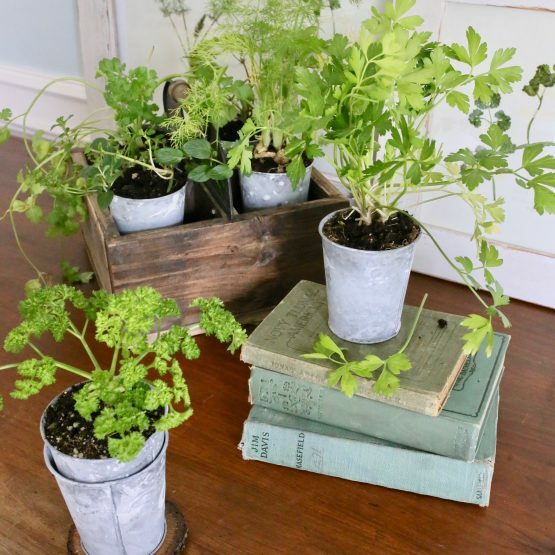 These can work in any style of decor. 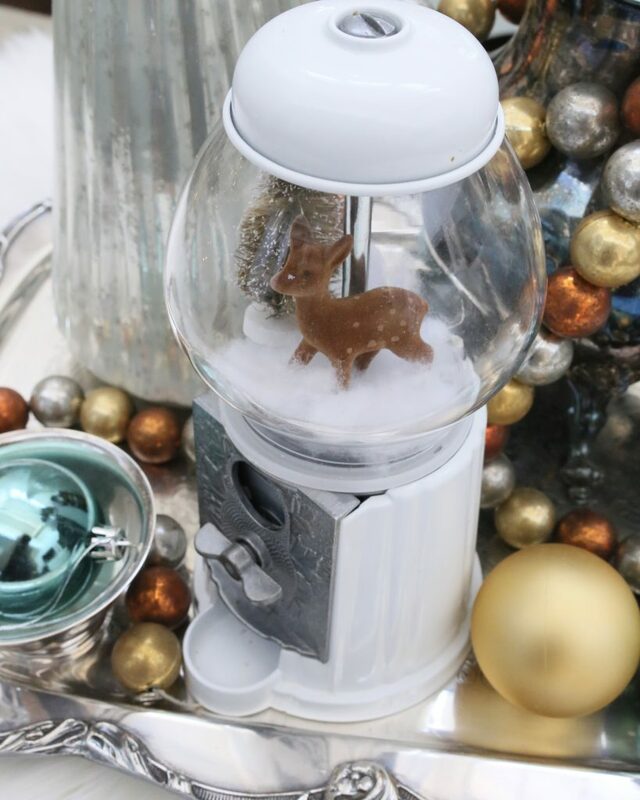 So if you use a mason jar to create a rustic vignette or snow globe ornaments for your tree, these are one trendy holiday DIY that anyone can do. Hot cocoa bars are not only fun to decorate, but great for holiday parties or warming up the kids after spending time outdoors during the winter. 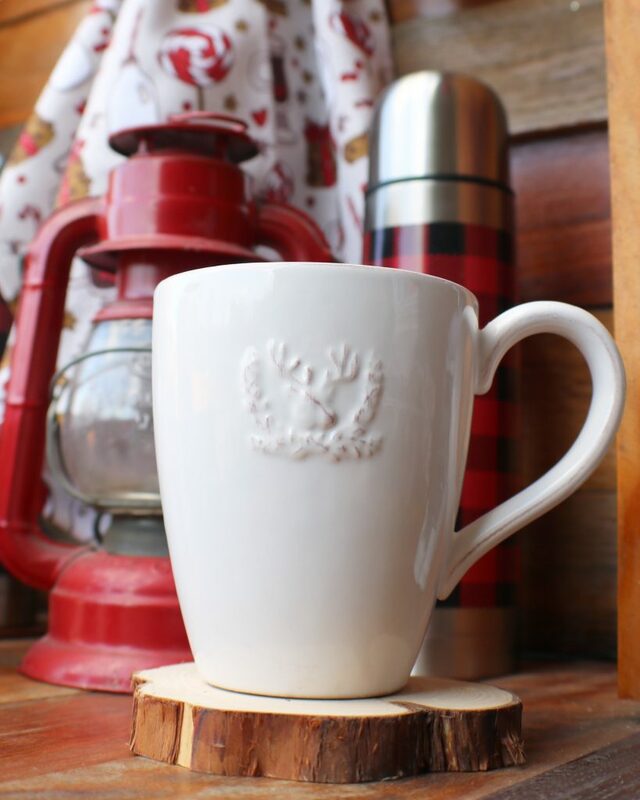 With a few cute mugs and hot cocoa supplies, you can make them as simple or elaborate as you want. 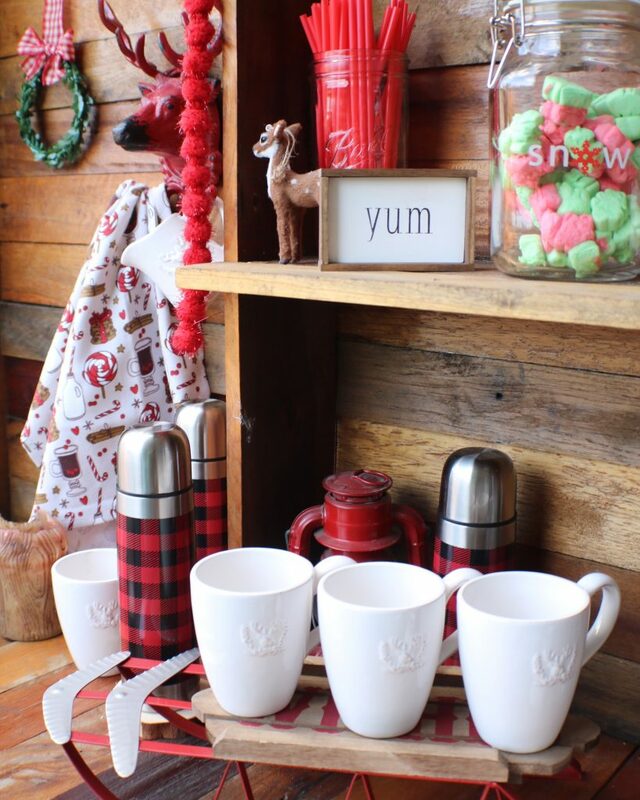 Look for hot cocoa themed tea towels, trays, signs and containers to build your bar. Then add cocoa and your favorite mix-ins. 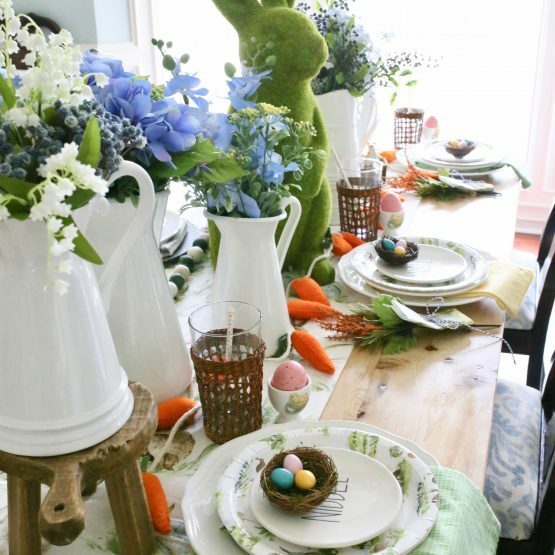 Rustic and woodland styles have been reoccurring themes over the years. 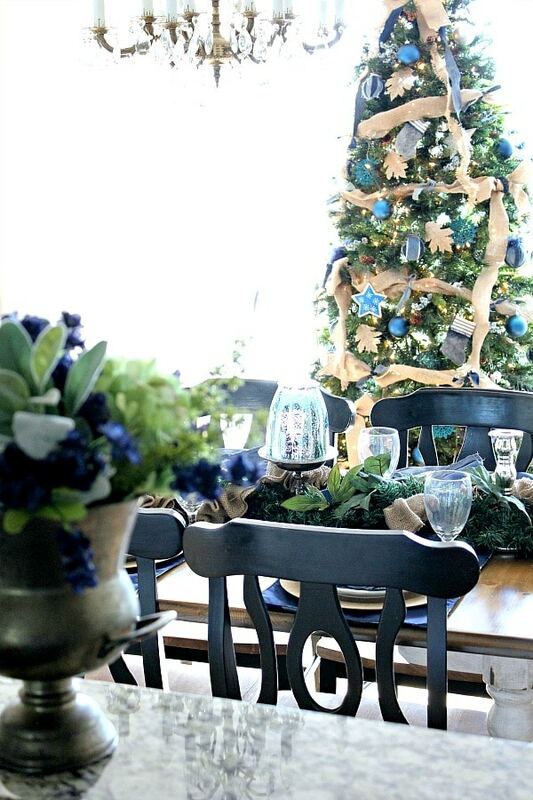 Natural elements are a big proponent of these styles to create a cozy, homey feel during the holidays. 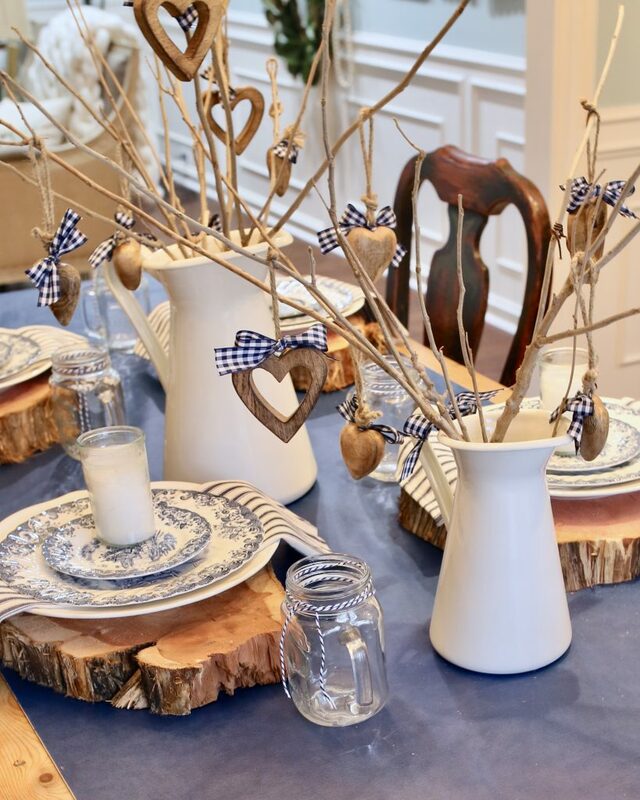 I have noticed wooden chargers are becoming increasingly popular whether hand cut wood slices or store bought. 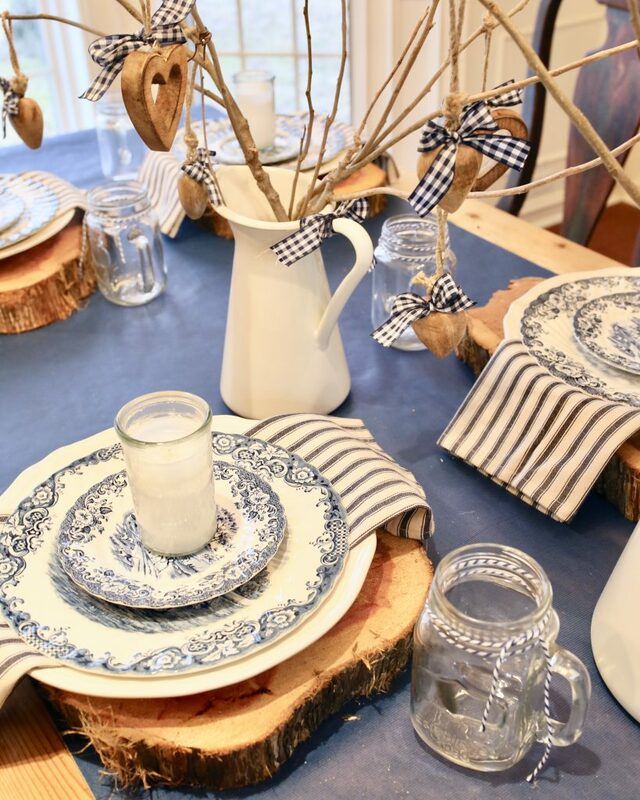 Wood chargers can be mixed with vintage transferware to create a country chic Christmas. 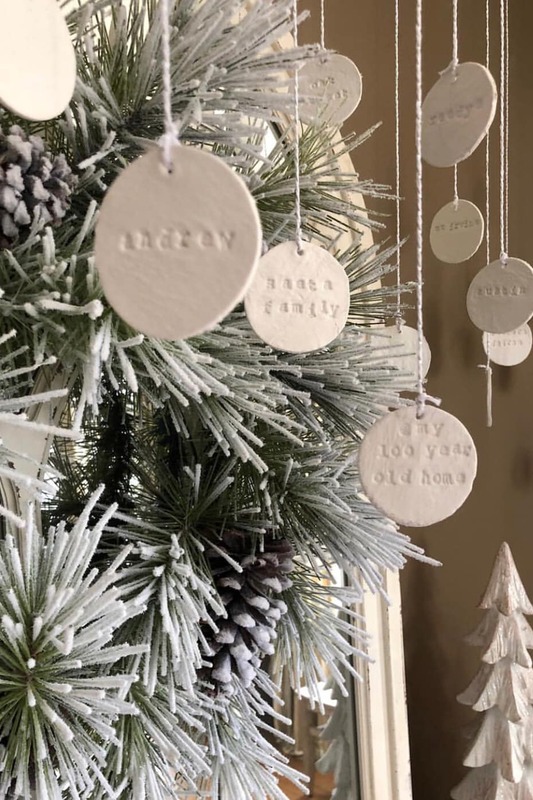 This is a growing trend that can be verified by the expanding section of wrapping paper, gift tags and ribbons at craft stores like Hobby Lobby. 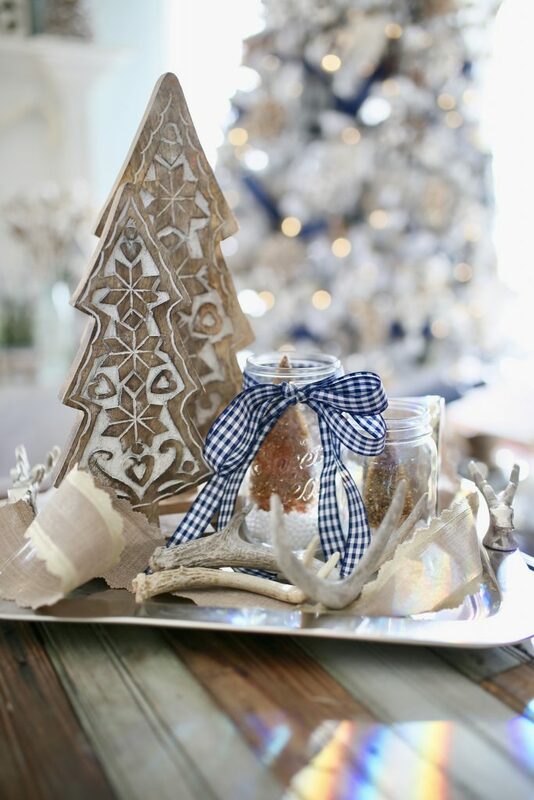 Don’t limit your creativity to just ribbons and bows! 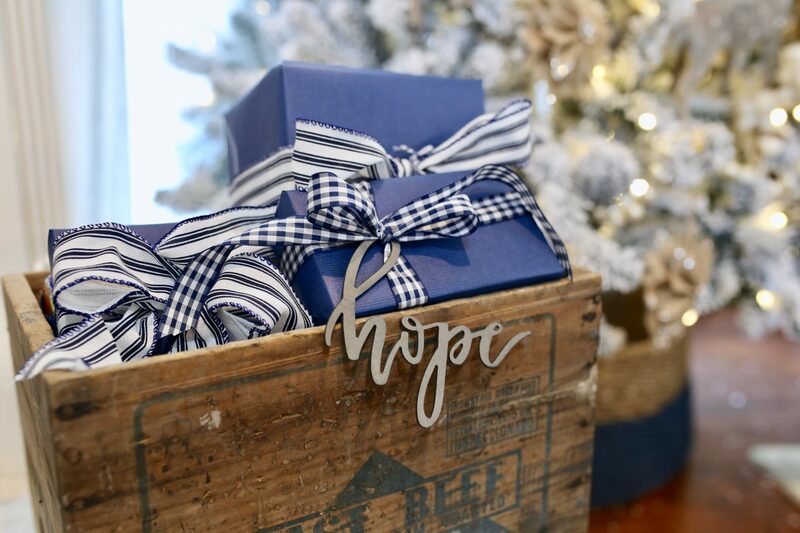 I love to add ornaments and trinkets to my gift wrapping. 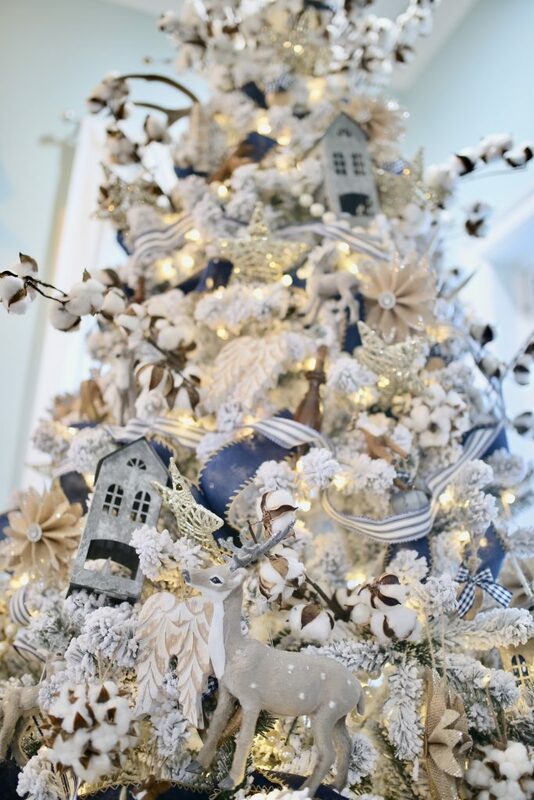 It is also fun to coordinate the packages with your decorated trees. 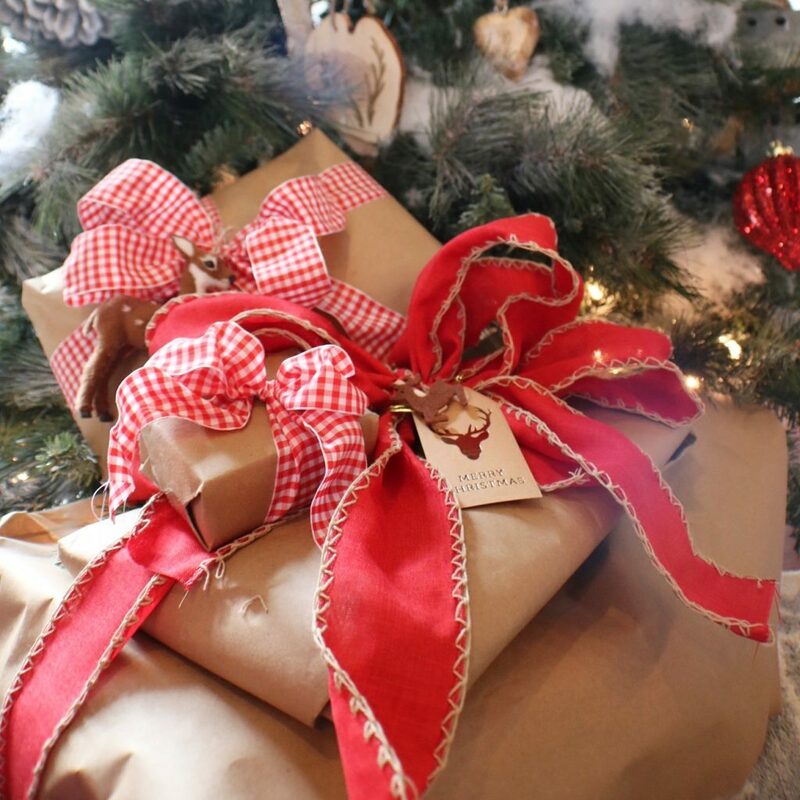 Beautifully wrapped packages also make great decorations for the home, too! Place them in cute baskets or line them up the stairs. Flocked trees are my favorite type of tree to decorate. 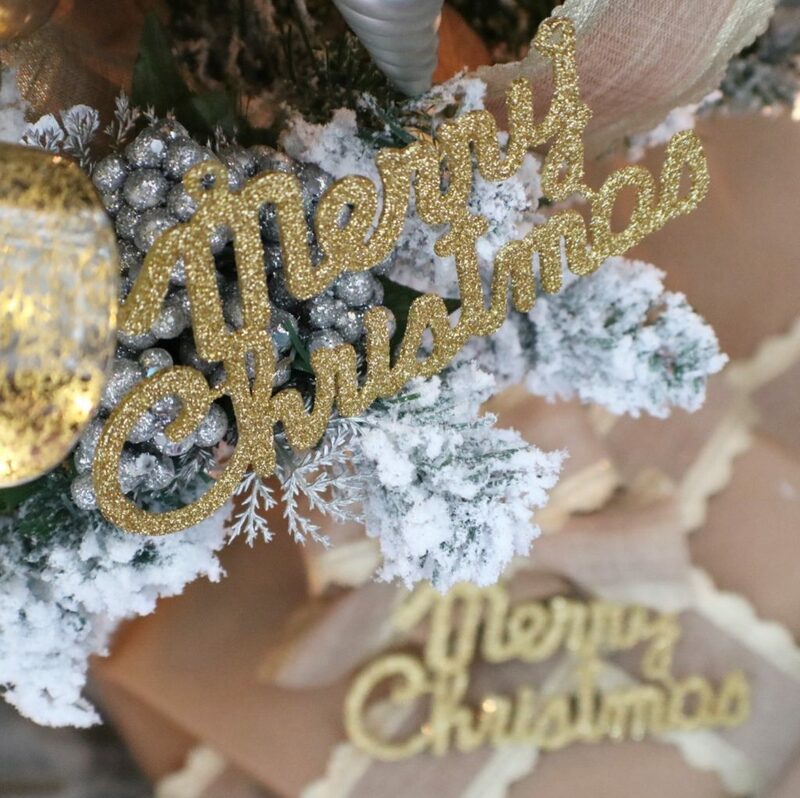 They bring the feeling of waking up on a snowy Christmas morning to reality. 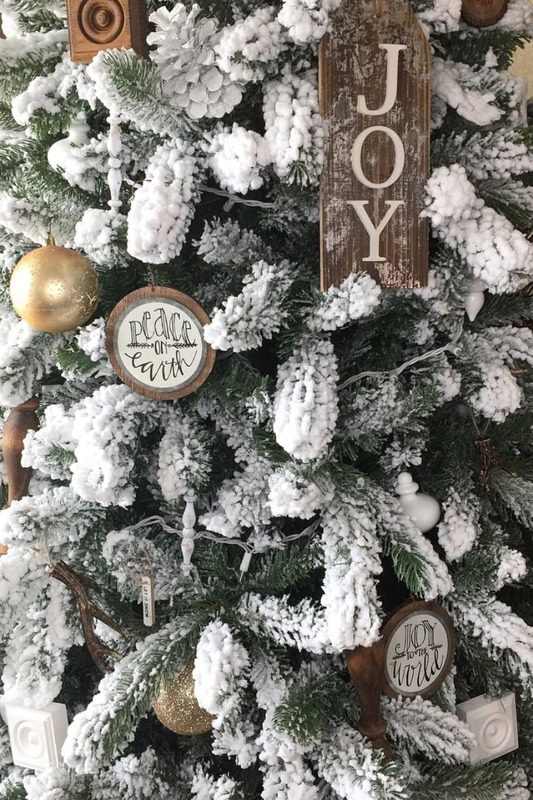 Two years ago, I bought my first small flocked tree and fell in love with the flocked style. 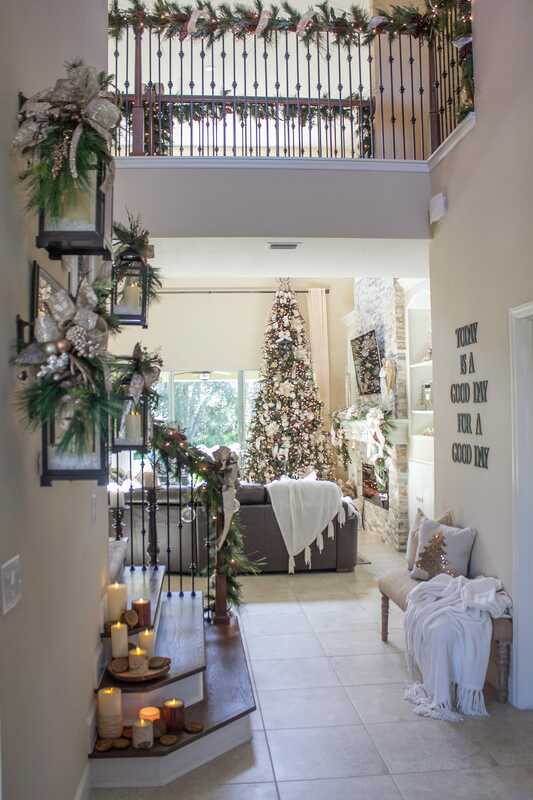 Last year, I found King of Christmas on Instagram as they are very generous with giveaways and charities – donating thousands of trees after the Hurricane to Houston area residents. 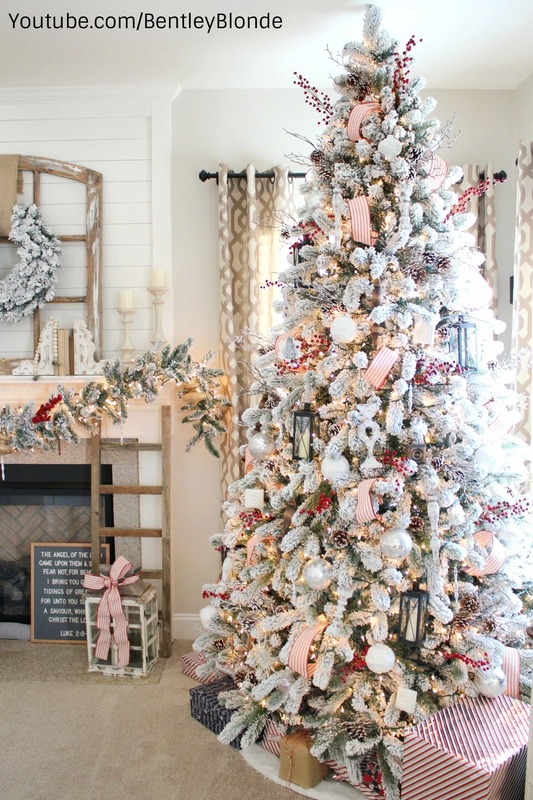 So I purchased two King of Christmas pre-lit flocked trees; one is used in my formal living room and the other in our family room. 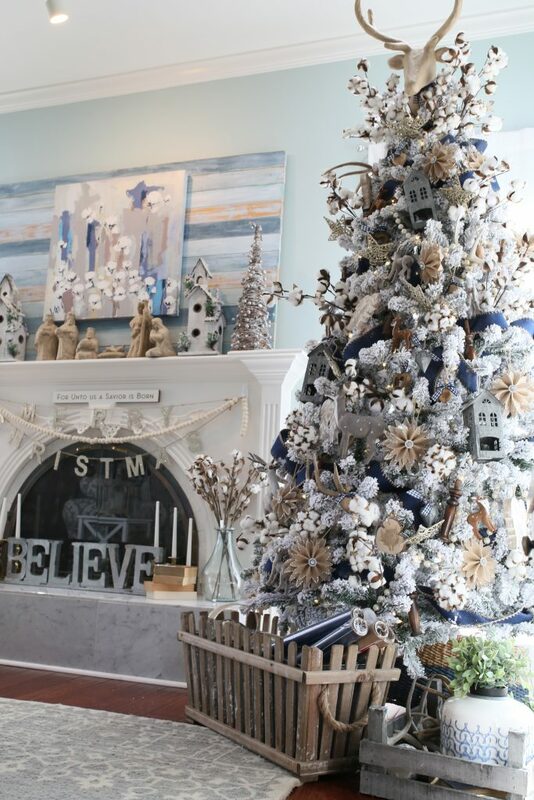 Can you believe I am adding another King of Christmas flocked tree in my dining room this year? I don’t see the flocked trees going out of style any time soon. 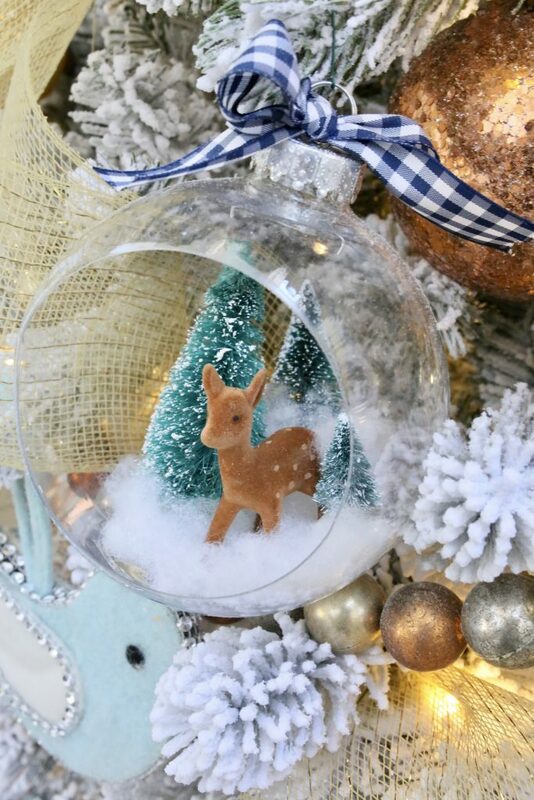 They are so classic and these from King of Christmas trees last for many years to come. I love the fresh look of powdered snow on the branches. 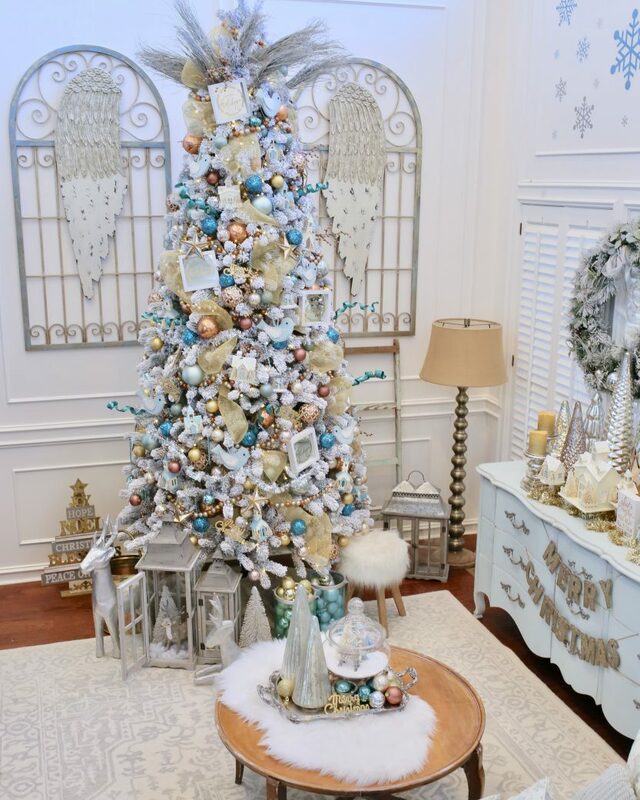 The white snow contrasts beautifully with my ornaments, ribbons and garlands and allow my decorations to really stand out. 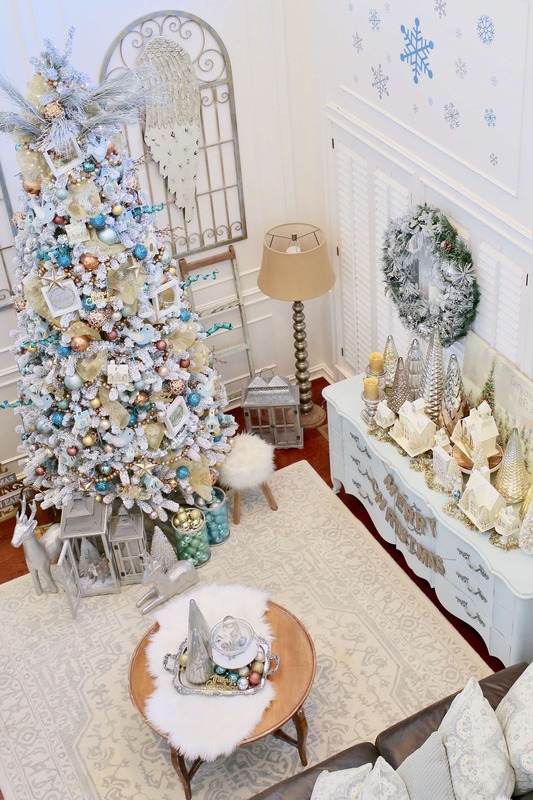 The King of Christmas flocked trees are so realistic, and the branches are so full. It takes me just 5 minutes to fluff the tree. Would it be a contradiction to say that it is trendy to not be trendy? 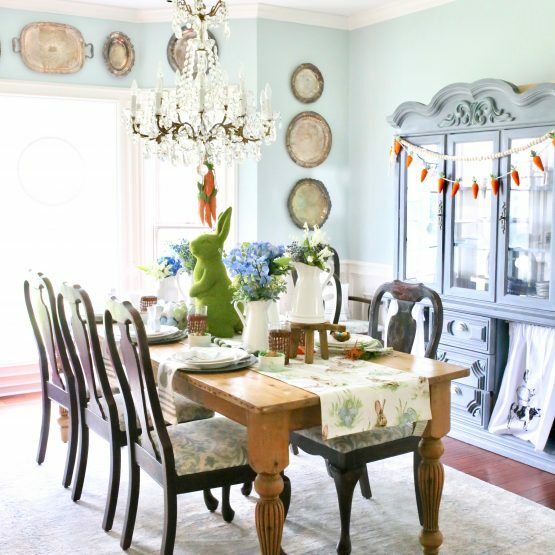 Go over the top with your decor and don’t be afraid to try something new. The point is to always be you and share your own unique style. 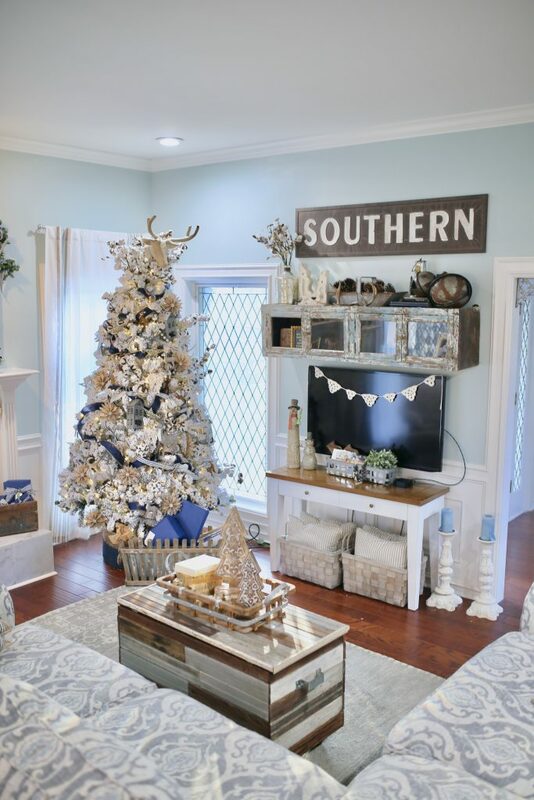 I love blue and white, and I am a Southern girl, so last year I created my very own Southern styled Christmas tree. 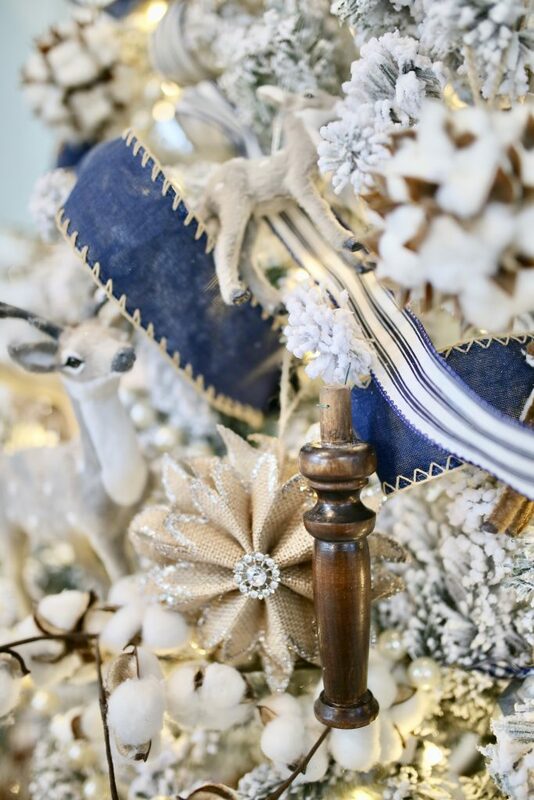 I included strands of pearls, burlap ornaments, cotton stems, blue and white ticking stripe and buffalo check ribbons and a variety of deer. It may not be for everyone, but being yourself will always take priority over trends. 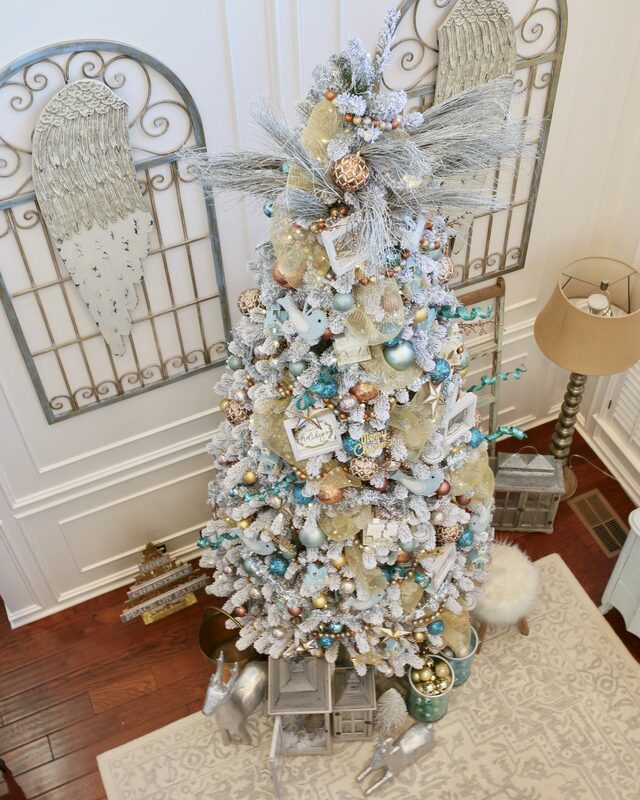 your own King of Christmas flocked tree! 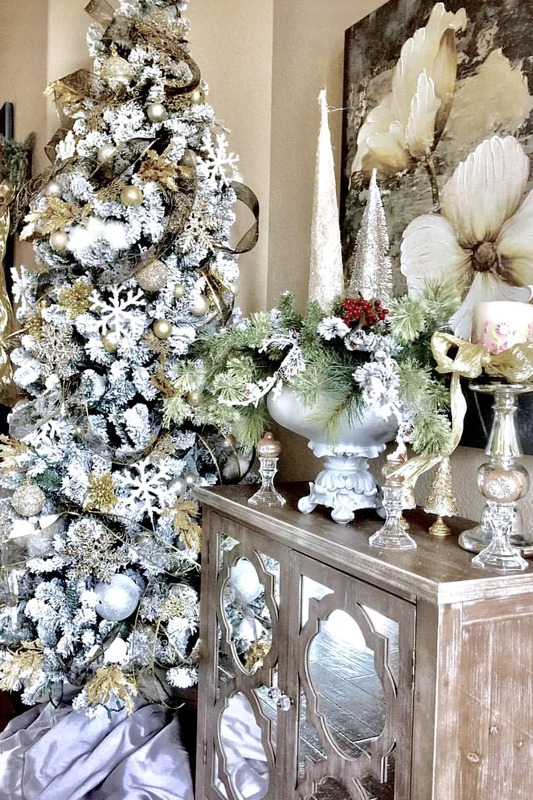 Now check out some amazing ideas from my favorite bloggers for more Christmas decor trends of 2018! 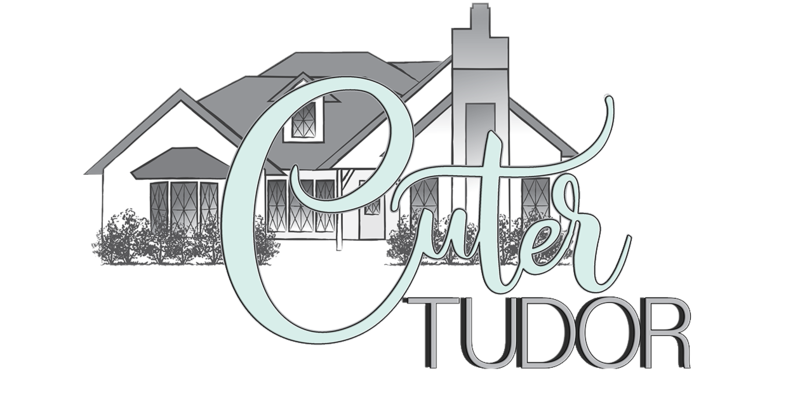 Thanks for stopping by the Cuter Tudor! 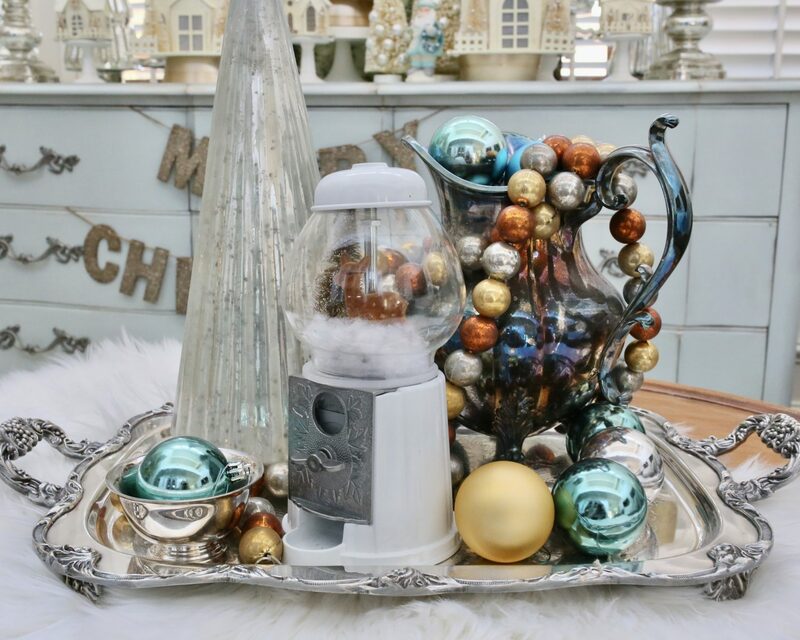 Follow me on Pinterest and Instagram @cutertudor for more holiday inspiration and Christmas decor ideas! 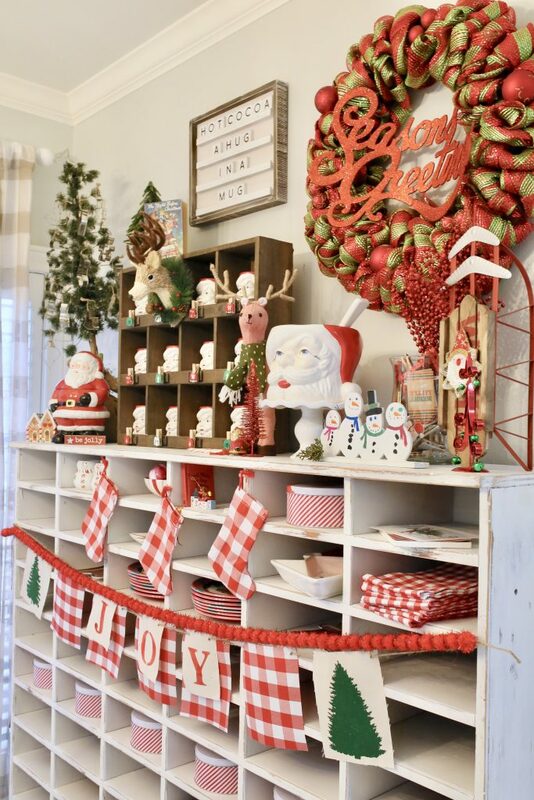 If I missed any Christmas decor trends in 2018 that you love, leave me a note in the comments. I would love to know what your favorite trends are or what you look forward to most this holiday season! Gorgeous! 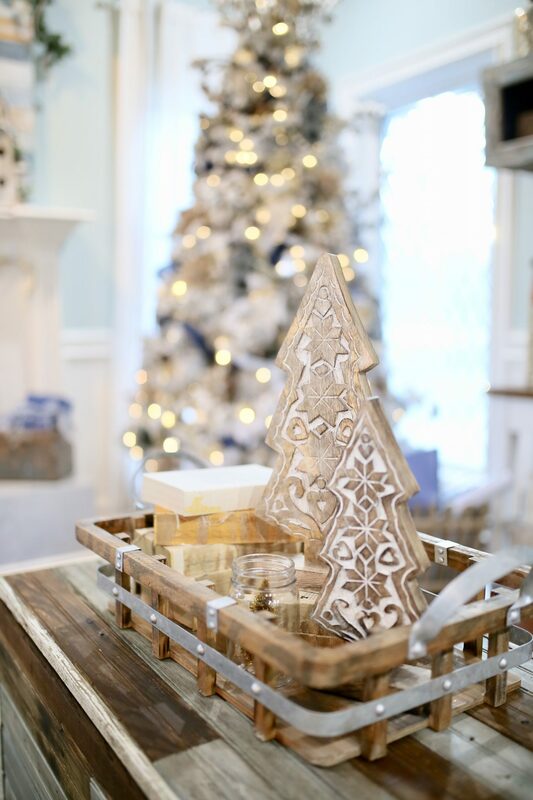 Loving your take on decor trends for this Christmas! The updated christmas village idea is so fun! Your trees were my very favorite last year, Amy! I love the trends that you highlighted and I cannot wait to see what you come up with this year!